In modern times, life is less about keeping up with the Joneses and more about keeping up with the Jetsons. Technology has infiltrated almost every aspect of life, to the point where a dead cellphone feels like a lost limb. With developments in artificial intelligence and machine learning, battery-dead devices will begin to feel like lost companions. Artificial Intelligence (AI) and machine learning both refer to software that can adjust how their coding reacts to input over time, as they “learn” more about the information they are receiving. From Siri to smart cars to online advertisements, artificial intelligence is currently affecting life. The full range of rewards, and risks, that arise from the use of these technologies has not been fully explored. 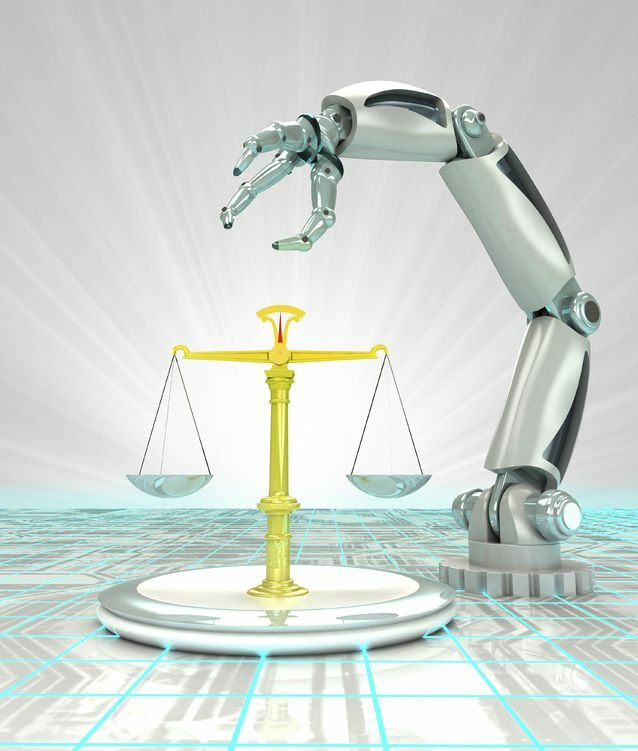 However, there are at least five legal issues innately associated with AI and machine learning. AI computes faster than Congress. Technology has been developing at the most rapid rate since the Industrial Revolution; quicker than the law can pace. So, when legal issues arise, more often than not, they are a case of first impression. Lawyers who have an AI case fall into their lap will be treading into uncharted territory, without a map, and trying cases in front of judges who may not comprehend the technology. Who is at fault? If an accident involves AI, trying to find the liable party is like playing a science-fiction version of Clue. A smart car hits a pedestrian, who is the guilty party? The programmer in the office with the source code? The owner on the road with the car? The manufacturer in the lab with the testing protocols? When artificial outweighs intelligence. AI often has to identify objects such as cars, or people. However, because AI relies on cameras and coding, things like contrast, color, and image density affect AI’s “thinking” much more dramatically than humans’. A person would not be likely to miss a white semi-trailer “against a brightly lit sky.” A human would not mistake a pattern of dots or lines for a starfish. AI also can reflect biases of the developer; as seen in many software programs’ tendencies to develop racial biases. Humanizing robots. As technology develops, AI gets closer to actual consciousness. The United States already granted rights and legal responsibilities to non-human entities, namely corporations; it is not unfathomable robots and machines utilizing AI will be granted the same. Facebook has already created AI sophisticated enough to develop their own, non-human language. Were the civil rights of these machines violated when Facebook decided to shut them down? If AI commits a crime, can the software itself be held liable? Switzerland faced that very problem when a robot bought illicit substances online. Privacy no longer exists. AI already tracks and predicts individuals’ shopping preferences, political preferences, and locations. The data accumulated and shared between these technologies has already created many controversies within the legal field. However, AI is starting to tackle more controversial subjects, such as predicting sexuality and propensity to commit a crime. Will these predictions be able to be used in trial? Or will the AI serve as experts, to be cross-examined to determine the validity of their opinions? When it comes to AI and machine learning, there are currently more legal questions than answers. But don’t worry; robots may have legal answers for us soon enough. When they do, will we be ready to listen? Law, including AI lawyers, is but one area to be disrupted by AI.